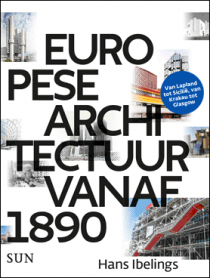 This richly illustrated work of journalism provides a survey of the main developments in European architecture from the end of the nineteenth century to the present. An unusual feature is the considerable attention devoted to the architecture of Central and Eastern Europe. 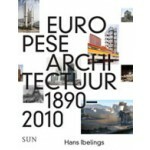 Histories of European and Western architecture of the twentieth century have always placed great emphasis on the architecture of Western Europe. During the era of the Iron Curtain, developments in Eastern Europe were hidden from the eyes of West Europeans. But in spite of this division, it is still possible to speak of a genuinely ‘European’ architecture. A specific European architecture has developed from the end of the nineteenth century, when the cities of Europe began to grow explosively. It is characteristic that in designing their buildings, architects have always tried to give form to the developments that were taking place in society: Deconstructivist buildings like the Guggenheim in Bilbao to give expression to today’s confusing and uncertain society; sturdy Communist buildings as a model for the toiling workers of the time; and elegant, simple Bauhaus buildings for a healthy living environment for all.